The Polo Pony Stud Book Society was formed in a large tent in the Royal Agricultural Society’s show yard in Chester in 1893, 20 years later it was renamed the National Pony Society. In 1896, HRH the Prince of Wales became the first in a long line of Royal Patrons. At the inaugural meeting in Chester the society’s aims were set out, that a society be formed for the improvement and encouragement of the breeding of high class Riding Ponies and that a Stud Book be formed for the registration of pedigrees and detailed descriptions of height and colour and that it be called the Polo Pony Stud Book. The most basic rule was that stallions and mares were not to exceed 14.2hh and that all candidates for registration be inspected by appointed judges. The importance of show classes to publicise the ponies and thus the society was recognised in 1893 and a resolution was passed to approach the Royal Dublin, the Islington and the Royal Agricultural shows to offer prizes at their shows for Riding Ponies from 13.2hh – 14.2hh. The most important task of the society was to establish the Stud Book and in 1894 it was decided that this should be based on that of the Shire Horse Society. 500 copies were printed and were sold to members for the princely sum of 3 shillings or 10 shillings to non- members. It contained 57 stallions and 316 mares and their produce. 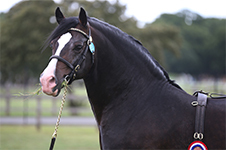 The first ever entry and No 1 in the book is a 13.31/2 hh Arab stallion, Abdul Hamid IV, he was American bred and owned, which showed that the Stud Book was already recognised internationally. 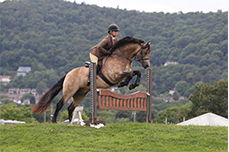 A huge variety of animals, ranging from small thoroughbreds to Welsh Cobs, Welsh Mountain Ponies and an Exmoor x thoroughbred mare, described as “ an extraordinary jumper “ were registered. Although the aim was to encourage the breeding of high class Riding Ponies, the preface of Vol 1 suggests that Polo was the foremost consideration at this point. The Earl of Harrington noted that the founding of the Stud book was a means of founding “ a very valuable breed of animal which can be used for any purpose “. As one of the difficulties in breeding Polo ponies was keeping the height within the limit, small pure blood native ponies were useful in this role, rather than being used as riding animals. Nonetheless, the importance of preserving and encouraging the improvement of the native stock became a constant theme of the society, one which continues to this day. In June 1885 the society held it’s first show at Ranelagh Polo Club, London, as well as classes for animals likely to breed Riding Ponies there were classes for brood mares owned by tenant farmers. Entry fees ranged from 2 shillings ( 12 1/2p) to 10 shillings ( 50p), with fantastic prize money of £20.00, £15.00 or £10.00 depending on the class. 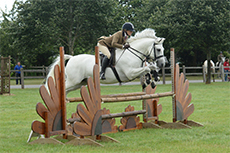 The following year saw a 2 day show at Hurlingham, where classes were introduced for Welsh Mountain, Exmoor, Dartmoor and New Forest animals, suitable for breeding Polo or Riding Ponies. In 1899 a major change took place when a separate section was introduced for Welsh Mountain and other native breeds of the Mountain and Moorland type. District committees were formed to establish standards and types and ponies were, in due course inspected for inclusion in the Stud Book. Volume VI, for the first time included separate sections for, Dartmoor, Exmoor, Fell, New Forest, North Wales, South Wales and Highland ponies. Lord Arthur Cecil expounded the importance of using native breeds to limit the size of Polo and Riding Ponies and to prevent the deterioration of the native breeds by further neglect. By 1900 the society had turned it’s attention to the accurate measuring of ponies, an issue that is still of concern today. After several years of controversy and discussion, an eight and a half page document was finally published in 1907 detailing the rules concerning the measurement of Polo ponies. Several anatomical details were included concerning measurement and neither the owner nor his servant were allowed to be present during the measurement. 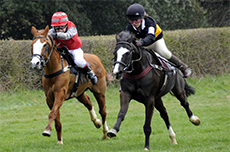 Despite extensive rules governing condition and shoeing some competitors still sought to bypass the rules by removing and /or replacing shoes on the show ground, until this practice was banned. In 1910 Lord Arthur Cecil began a train of events which culminated in the Society changing it’s name. The Board of Agriculture proposed that part of the Development Fund for Horse Breeding be used for the encouragement of pony stallions . Lord Arthur suggested that a grant be offered for Polo and Riding Pony stallions to be awarded at the Society’s Spring Show and that those for Mountain and Moorland Breeds be offered at selected regional shows. A grant of £200.00 was awarded to some of the native pony breeds with a possibility of more for the improvement of Highland ponies and Welsh Cobs. The request for the Polo and Riding Ponies was rejected on the grounds of insufficient funds. In July 1912 a deputation visited the President of the Board of Agriculture to argue their case. After several persuasive arguments , the President agreed with much of what the deputation had to say but observed in a jocular way that the word Polo in the title of the Society did not seem to carry with the element of poverty expected in such cases. It was remarked by Lord Helmsley that “ the Societies name might possibly mislead as to it’s object, which was to improve the breed of ponies generally” Minds had been concentrated and the seeds of change sown. Earlier in 1912 a committee under the Chairmanship of Lord Arthur Cecil had been formed to advise on measures for the improvement of the Mountain and Moorland breeds .A 36 page report was produced on all the native breeds, their past and present status and characteristics, including markets for the ponies, premiums payable, and native habitat. The recommendations included encouragement of district Pony associations, registration of suitable stallions and mares in recognised Stud Books and awards of premiums to native stallions to roam at large. Premiums to young mares until they produced a foal and the careful interchange of registered stallions to avoid in breeding. It is interesting how many of these recommendations have survived in one form or another to the present day. As 1912 drew to a close, following a Council meeting, an Extraordinary General meeting was called at the Society’s office in Hanover Square London for the 30th July 1913, at that meeting the decision was taken to change the Society’s name to The National Pony Society. A first Scottish Committee was formed in 1960 when Commander Brown and Mr Driver came up from Headquarters to meet pony enthusiasts in Scotland. The new Committee encouraged shows to put on mixed M&M classes and more Riding Pony Breeding classes. A stallion parade was started at Kelso Spring sales to showcase a wide range of available stallions. In 2001 National Pony Society Scotland was re-launched from the NPS Scotland Steering Committee as an independent Scottish based and managed organisation.